ShopIt is the latest shopping checklist app for the iPhone and iPad. It provides an uncluttered view of your lists and items without distracting advertisements. The app stores lists locally on your device and synchronizes your lists between your devices using cloud storage. ShopIt lets you share any of your lists using secure invitations you can send with AirDrop, email, or DropBox. You don't have to share a list, you can keep it private. If you chose to share a list, you can easily revoke someone's privilege to access it. You're in control of your lists! 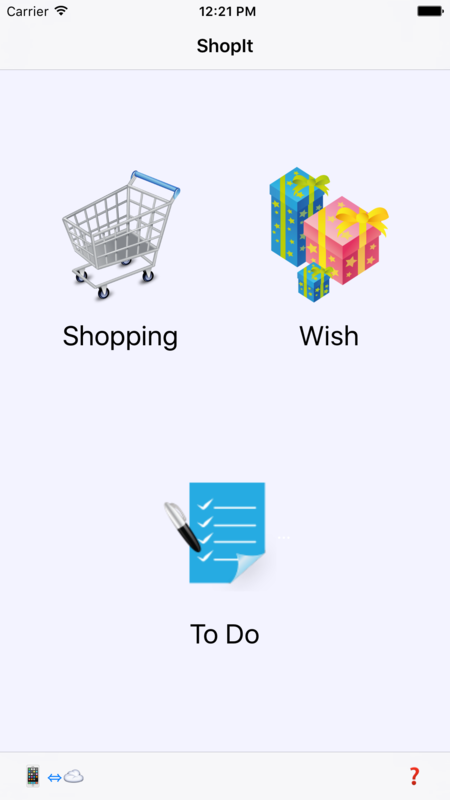 You can create and share wish lists with your friends and family. They get to see what is on your list and get alerted by Apple's push notification service when you add or change the list or when someone buys a gift, but all the purchase information is hidden from you so you're still surprised! Everyone loves adding tasks to someone else's to-do list. 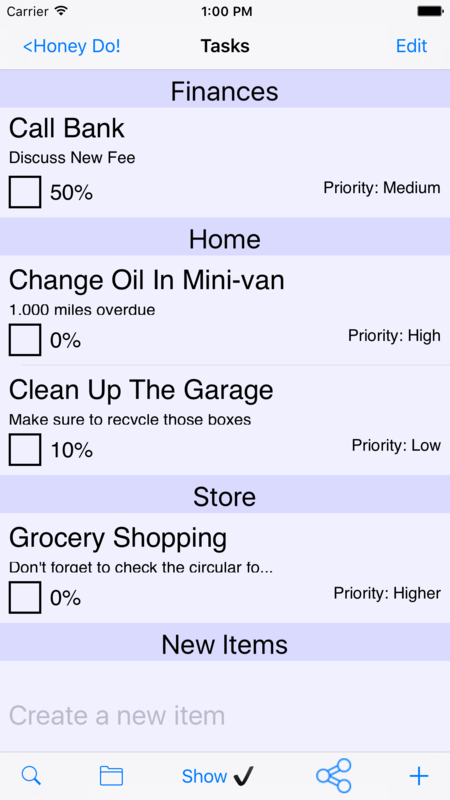 ShopIt provides To-Do Lists. Now you can create that 'honey do list' and share it with someone special, create as many task lists for others or personal lists to organize your to-do's. ShopIt notifications make it easy to keep abreast of new and changing tasks and progress on assignments you have delegated. Have friends you want to share with but they don't have an iPhone? No problem, One in a Million Apps LLC has a web app with the same great look, feel, and features that works from any device with a modern browser; that means anyone can share your list stored in the cloud! Alerts let you know when someone changes a shared list, category, item or purchase. Organize your list with categories and organize categories to match locations in the store. Specify quanities for your purchase items, add notes about the item and sequence them however you want. 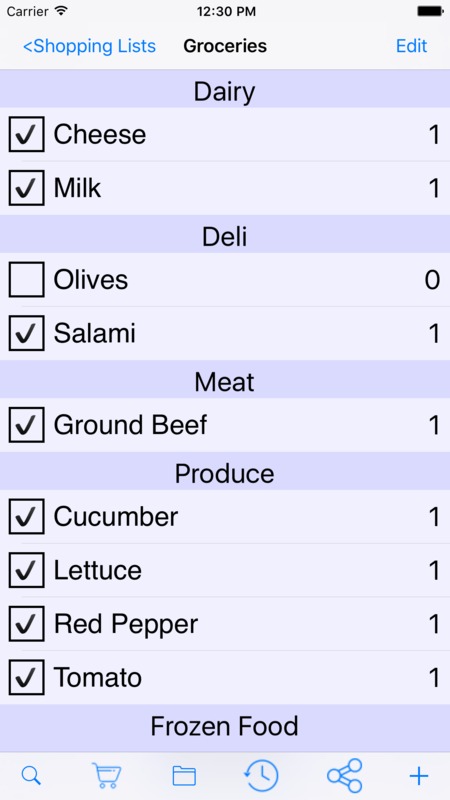 Move items from one category to another simply by dragging them to the other category. Cut, copy and paste items from one list to another. A context sensitive search lets you find an item in a long list. ShopIt retains your shopping history, making it easy to plan your next visit to the store. 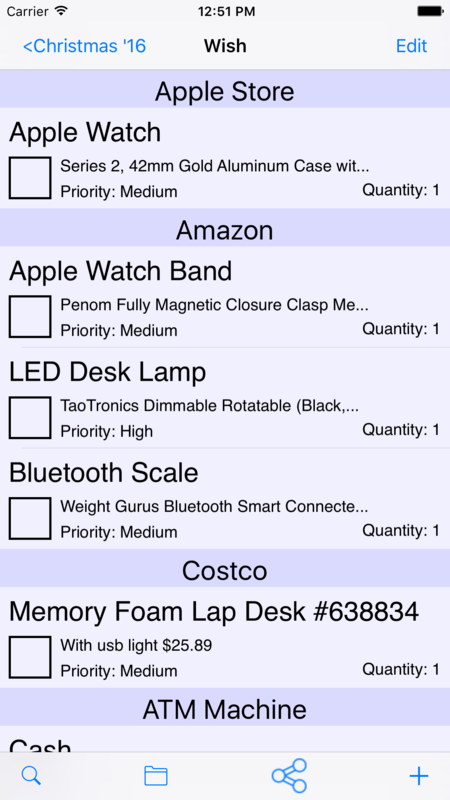 When you're shopping at the store, the app hides items as you check them off so you can quickly see what's left to buy. ShopIt even keeps a count of the number of items in your cart, so you can tell if you can use the 20 items or less checkout line. You won't want to go to the grocery store without it! Wish list items let you add a priority and web link to shopping items so your friends know exactly what you want. An app extension lets you post items to your wish list from other apps like Safari or Amazon without having to leave the browser. Purchasers can click on the web link to bring up the item's page in Safari. To-do lists let you keep track of priorities, progress, start and finish dates for all your tasks. Apple Watch support lets you leave your phone in your pocket while at the store. Quickly check off items as they go in the cart and see what's next to buy as ShopIt hides the checked item.